“Robots are taking away our jobs!” This is the cry heard throughout industry by those who fear losing their jobs to robots and other automated systems. Yes, automation does tend to eliminate some low-skill jobs, but we need to move beyond the simplistic view that automation is nothing more than a job killer. In reality, automation often makes working conditions better for workers by completing tasks that are either too dangerous or too repetitive to be attractive to humans. Automation also creates a variety of highly-skilled jobs when implemented in a manufacturing facility. 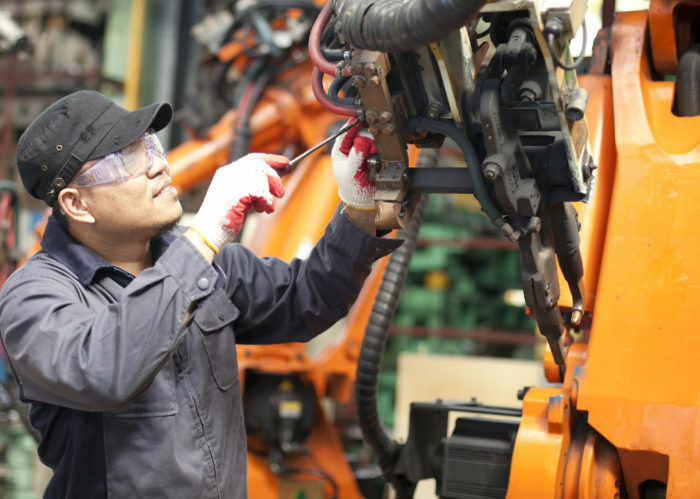 As manufacturers add more and more machines to their production facilities, they also need more and more highly-skilled humans to work alongside them. As advanced as they are, these new wonders of automation can’t operate in a vacuum. Automation systems need to be installed, programmed, and customized to fit the particular needs of a manufacturer. Once they’re up and running, they also require highly-skilled technicians to oversee their operation, maintenance, troubleshooting, and repair (OMTR). Who Will Maintain the Robot Army? 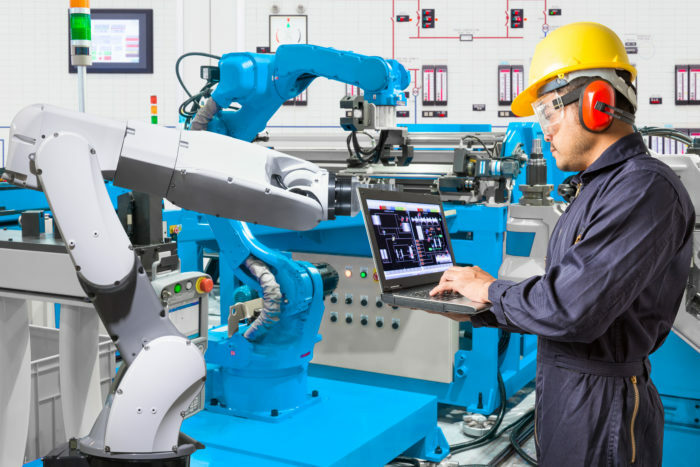 Manufacturers have been quick to seize the potential of automation in terms of increasing productivity, maximizing efficiency, lowering costs, and reducing waste. These benefits have stimulated the investments that have been made in automated systems in recent years. For example, data collected by the Robotics Institute reveals that American companies bought nearly 23,000 robots worth an estimated $1.3 billion in 2017. Likewise, the Packaging Machinery Manufacturers Institute (PMMI) estimates packaging machinery purchases exceeded $7 billion during the same timeframe. 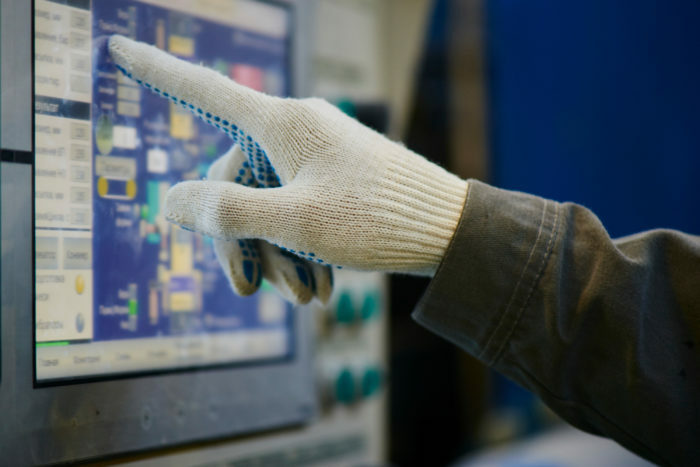 Unfortunately, most manufacturers investing heavily in automated systems have not made the same commitment to invest in hiring or training the skilled workers they will need to OMTR those systems. This failure to invest in the humans necessary to ensure the greatest possible return on their investment in machines leads to a somewhat-ironic result. Without the skilled workers to OMTR their machines, companies must rely on the manufacturer or supplier of the systems to do this work. The downtime that occurs while waiting for these off-site entities to respond directly diminishes the very increases in productivity they hoped to gain. broad-based knowledge and hands-on skills related to maintaining and troubleshooting the various components that make up the majority of automated systems. How many companies have the workers with this combination of skills? The answer today is not nearly enough. According to Mr. Collins, one robotic systems integrator he interviewed claims that only 20% of its customers currently have employees with all of the skills needed to OMTR their systems. Currently, the supply of highly-skilled workers lags far behind the demand for these workers. Indeed, it will likely take many years for supply to catch up with demand. In the meantime, manufacturers must take steps to teach the skills employees who work alongside their automated systems need. Strangely enough, the solution to the problems of the future might be found in a training model many people still associate with the past: apprenticeship. Many people still think of apprenticeships in the context of construction jobs created by New Deal legislation passed in the wake of the Great Depression nearly a century ago. While apprenticeships did indeed get their start long, long ago, they’ve survived and evolved over the last century. However, despite the fact that there are currently over 22,000 registered apprenticeship programs in the U.S., including many in advanced manufacturing, few students seem to know these opportunities exist. Manufacturers, in particular, appear to be missing the boat when it comes to apprenticeships. Department of Labor statistics reveal that, of the 553,000 registered apprentices in 2017, only 17,500 of them were in manufacturing. That’s less than 1% of the total manufacturing workforce. Manufacturers investing heavily in automation need to invest just as heavily in training workers to develop the skills needed to OMTR their new automated systems. Experts estimate the specialized skills required can take 2,000-4,000 hours to acquire. Apprenticeships that can last up to four years are perfect vehicles to deliver these advanced skills on an extended timeline while providing apprentices with invaluable real-world, hands-on experience. Rather than waiting for students to make their way through the higher education system, manufacturers can use their own experienced employees to teach necessary skills right now. One of the other factors driving the skills gap crisis that’s expected to leave more than two million manufacturing jobs unfilled over the course of the next decade is the large number of baby boomers approaching retirement. Manufacturers can harness the knowledge and experience of these soon-to-be-retired employees now to train the next generation of highly-skilled workers through apprenticeships. As manufacturers begin to develop apprenticeship programs to address their skills gaps and educational institutions start to expand their training programs, both will need access to comprehensive technical training solutions that address the skills needed to OMTR advanced automated systems. With more than 30 years’ experience designing and manufacturing state-of-the-art training systems, Amatrol remains the world’s leader in skills-based, interactive technical learning for industry and education. Amatrol’s advanced technical training solutions range from introducing high school students to emerging technologies to teaching hands-on skills in the latest, highly-sophisticated smart factory systems. 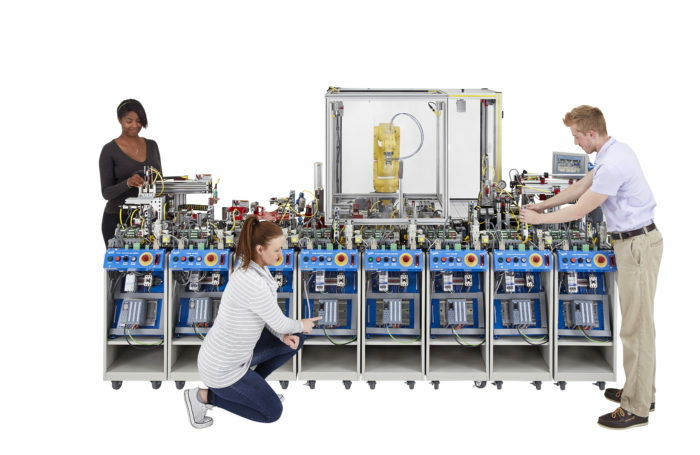 Amatrol offers technical training solutions targeted at the in-demand skill sets necessary to OMTR advanced automation systems, including: print reading, fluid power, mechanical, electronics, robotics, computer-integrated manufacturing, mechatronics, and automation. In addition to in-depth training in these areas, Amatrol also offers training systems focused specifically on maintenance and troubleshooting of these systems. In addition to physical trainers that teach hands-on skills with real-world industrial components, Amatrol’s technical training solutions include in-depth multimedia eLearning curriculum that includes stunning 3D graphics and videos, voiceovers of all text, and interactive quizzes and exercises designed to appeal to learners with different learning styles. Many systems are also offered in convenient portable versions that can be easily transported between locations for on-demand training wherever it’s needed. Visit Amatrol online to learn how you can leverage its technical training expertise to train tomorrow’s workforce today. Together, we can bridge the skills gap and continue to transform the global workforce one life at a time. Duane Bolin is a former curriculum developer and education specialist. He is currently a Marketing Content Developer for Amatrol, Inc. Learn more about Amatrol and its technical training solutions, including eLearning, here and connect with Duane on Amatrol’s Twitter, Facebook, LinkedIn, and YouTube pages.